Well the wine ceremony box is paid for and delivered. The couple was incredibly happy with the results and I hope it works well for them as a reminder for many, many years to come. Here are some of the final pics I managed to get before it was off and gone into another life. Often times when I build a piece for myself or my own reasons I find myself experimenting with something new. A different joinery, a different way to cut the joinery, a unfamiliar species of wood, something, anything to expand my experience and hopefully make me better. Since I am always trying to push my boundaries outward it was interesting to create a piece where I used techniques I already knew how to do well and see how fast it came together. After dedicating myself to this hand tool woodworking ideal for a couple of years now I have to say even I was impressed. If I worked in a shop full time I could have had this ready for finishing in a day and a half. Raw board to hardware fit. The next step in anything is evaluation, Simon Cowell style, rip it apart so the next one is better. What would I do differently if I were to do it all over again. 3. I didn't take the time to plan my dovetails around the grooves plowed that capture the bottom and so I had to glue in small patch pieces to hide the showing gaps. The patches are probably only visible to me (and now to you because I told you to look for them) but in my mind I would feel better if I made it right the first time and didn't plan to patch at all, I just haven't fixed this geometry in my head enough to make it second nature yet. 4. I'm not completely sold on the interior battens, They are glued on only half and nailed across the whole of the lid to help promote the lid staying flat as long as possible. I gave an instruction letter to the new owners explaining some of the quirks about living with and using solid wood furniture, something today's consumer doesn't get a whole lot of experience with. I woulds have preferred full length battens on the outside edges of the piece but in the end I didn't like the way it would look this time around. I wanted very, very clean lines. Only time will tell I guess, and chances are I will never hear one way or another. At any rate, here's to the new owners, may the years be kind to their relationship and may their love grow strong like the oak that this box is carved from. Lovely work! Thanks for sharing your thoughts on its construction. I've been dealing with the need for thin stock for box bottoms as well, and one interesting idea someone shared with me is to get ahold of ruined antiques and rip the drawer bottoms out and use that. It should be very flat and stable, and was made in an era before plywood was common. 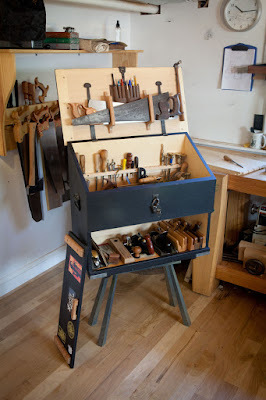 Resawing bandsaws are so expensive and it is so hard to find anything more than 4" "hobby boards" less than an inch thick, so I think keeping your eyes open for "free pile" or at least very cheap old dressers is a decent idea! Most big box stores carry nice tongue and grove stock about right. It is usually over by the moldings and where they have the beadboard and closet liner. It is hard to recognize it because they have it packed in packs of 6 or 8 pieces in shrinkwrap. Have seen at HD and Lowes. Thin stock is an issue and I like the idea of rescuing some stock from the old drawer bottoms, I do quite a bit of resawing using my standard 14" bandsaw and it works very well, heck I haven't even bothered with a riser block and I get a lot of work out of it, but I kind of like the idea of the beadboard packs from HD, many of them are pre-shipplapped so next time I need a solution in a hurry I think I will look to that. Looks great. I actually think the ply for bottom is a good idea. Nothing wrong with quality ply. If you had the bottle to work from, the battens would have been great to brace the bottle as a fitted holder. With modern glues, I can't say if the battens will be a help keeping the top flat or not, time will tell. Overall, the customer was pleased and you get to put in more time getting better. It shows in the technique. Much more fluid carving. Thanks David, The carving has evolved a lot, I did use Old Brown Glue for the battens and dovetails and thats as far from modern as I can get but you're right as far as I'm concerned the jury is still out on whether it will work or not. 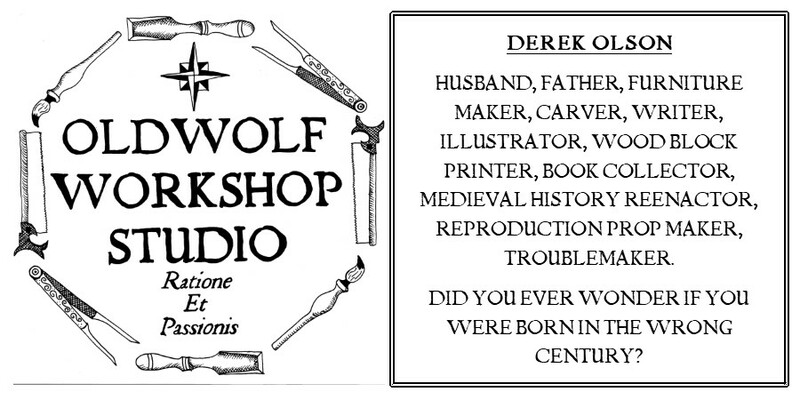 Derek, I enjoyed the write up as well. I really like the carving in this box. Carving is something that I haven't mastered but always wanted to learn. I live in Thailand now and it is amazing to watch these craftspeople do all sorts of carving. Here you see them sit cross leg on the floor in un airconditioned workshops, (at 34C) and just do it all day long. I tell a lot of people about my woodworking addiction and the one thing that always comes up is the incredible diversity in skills that are required to learn and practice to really be a craftsman. Thanks for sharing your work and methods.